Pre-packaged software and applications for EasyInstall, ready for download. Why spend precious time to pack, update and test standard software and applications when it is already done. 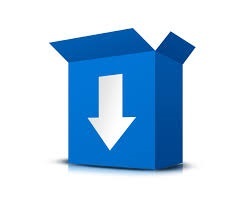 With a few clicks you can download the latest software from EasyPacks. Errors and security vulnerabilities is constantly found in standard applications and the software supplier issues updates on a regular basis – we keep an eye on this for you …. It can be fatal if standard applications are not kept up to date. Hackers are unfortunately extremely talented to exploit these vulnerabilities. As an example, if Java is not updated, which in itself is a huge security risk, it can cause lack of access to banking and other public services. All software is packed, tested, virus free and quality assured by IXP Data. We have more than 200 updated application packages ready for you and more keep coming. We ensure that packets are continuously updated and we will send you an e-mail when new downloads are ready. On the EasyPacks website you can contact us with suggestion for additional standard applications for EasyPacks. EasyPacks is a subscription service which is settled by number of EasyInstall licenses. The subscription runs for 1 year. Java, CutePDF, Adobe Reader, Adobe Flash Player, Apple QuickTime, Microsoft Visual C++ 2005/2008/2010/2012 Redistributable, Apple Safari, Apple iTunes, Notepad++, Google Picasa, Google Chrome, Microsoft Skype, VLC, Evernote, Paint.NET, Google Earth, CamStudio, Microsoft Telnet Client, Microsoft XML Parser, Add Interactive User as Local Administrator, Delete Temporary Internet Explorer Files at Logon, Microsoft Office Word Viewer, Microsoft Office Excel Viewer, Microsoft Office PowerPoint Viewer, Microsoft Visio Viewer, Microsoft Office 365, Microsoft DHTML Editing Component, Disable Windows 7 / Windows 8 Action Center Icon, ISO Recorder, Microsoft Windows XP Update Agent, Akamai NetSession Interface, TeamViewer Quick Support, Libre Office, Mozilla Firefox, Calligra Suite, EzMSI, Classic Shell, Tomboy Notes, Microsoft .NET Framework 3.5 for Windows 8 / 2012, SendBlaster, 7-Zip, Citrix Desktop Receiver, GIMP, ISO to USB, KeePass, Lenovo System Update, Virtual CloneDrive, Remote Desktop Organizer, Microsoft Remote Desktop Connection Manager, Enable Windows User Access Control, Disable Windows User Access Control, WinRAR, Cisco VPN Client, Cisco AnyConnect, Microsoft Robocopy GUI, Microsoft RichCopy, Microsoft Windows Server 2003 Resource Kit Tools, Disable Windows Firewall Domain Profile, Double Commander, Microsoft Windows Server 2003 Support Tools, Veritas WinINSTALL LE, WinZip, Activate Microsoft Windows via KMS, Remove all Java versions, Remove all Windows 8 Metro-Apps, PDFCreator, FileZilla, Microsoft Silverlight, Total Commander, ImgBurn, IrfanView, PuTTY, Squiggle, WinSCP, .NET 4.0, .NET 4.5, Time Sync, Inkscape, Microsoft USMT, Opera, AVG, Winamp, Microsoft Camera Codec Pack, Microsoft Windows Live, iFunbox, Apple iCloud, Adobe AIR, Adobe SVG, AppDeploy MSI Repackager, Adobe Shockwave, XnViewMP, Foxit Reader, SumatraPDF, Windows Installer Clean Up, PeaZip, Inno Setup, Orca, WizMouse, Microsoft Expression Design, Microsoft Expression Web,Recuva, BoxCryptor, TeraCopy, Microsoft Report Viewer, Microsoft WSUS Administration Console, Scribus, OpenProject, Dia, TurboCash, Microsoft RSAT, RealVNC, Microsoft Network Monitor, Microsoft Message Analyzer, Grønlandsk Stavekontrol, Microsoft IEAK, Ninite, BGInfo, Google Drive, K-Lite Codec Pack, OpenOffice, NemID, Dropbox, Microsoft Office 365, Microsoft Skype for Business.